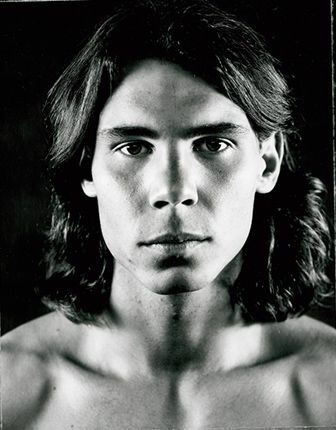 "I'm not a kid anymore," Nadal said in an interview this week. "Before when he says something, I will do it, for sure. Now I can answer him. Sometimes he minds, but that's what there is. At the same time, he has to accept that I'm 25—I have more opinions than before." Toni Nadal, uncle and trainer of Spanish tennis player Rafael Nadal, this year acknowledged that his nephew is not among the favorites to win the U.S. Open, but believes there is always a chance that will overcome the current world No. 1, Novak Djokovic. "The favorite for the title is Djokovic on his results throughout the year, as he is playing, and comes with much morale," said the coach of Mallorca. Toni Nadal said that the Brit Andy Murray has just won in Cincinnati and Federer "is still a great player," and mentioned other possible candidates as Argentina's Juan Martin del Potro, who won in New York in 2009. "My feelings are good for the last practice, but after the results in Montreal and Cincinnati, the expectations are not very promising," although Rafa, "by virtue of his world number two, for his career this year, also has options" said the uncle of the reigning U.S. Open. Asked about the disclosure included in the latest biography of Nadal that he thought about leaving tennis and golf when switching to an injury suffered in 2005, Toni Nadal said: "I for now I play tennis, golf I'll leave for later ". The coach said so on the day that Rafael Nadal said in an interview in The Wall Street Journal that he is no longer a "child" and that his coach has to "realize" that he is 25 years old "and more of his own opinions than before. Now I can say more things, discuss more than before, but I still have much respect for him. That will not change." The player is this week in New York to train and participate in numerous advertising commitments, his first on Thursday for a clothing company in a popular shopping center in Manhattan. The world No. 2 debut on Monday in the tournament to be played at Flushing Meadows to Kazakh Andrey Golubev. "When you've won at the place, everything looks positive to you," said the world number two to a handful of reporters at an almost empty National Tennis Center soaked by the first onslaughts by hurricane 'Irene'. "I feel good, truly I feel pretty good, I think I'm making big enough steps forward," declared Nadal after his unusual results on the North American tour, during which he was defeated in his first match in Montreal and in the quarterfinals in Cincinnati. "About the foot, which in general terms they told me was nothing serious.... Three weeks after Wimbledon ended my foot was worse than it had been one week after. Something happened that we got wrong," Nadal admitted with a grimace. Could that left foot condition how Nadal does at Flushing Meadows? The Spaniard doesn't think so. "There was still a little fluid present in the last scan they did on my foot, so it's not completely better. But it's quite well enough, for the moment it's not preventing me from playing at the level I want to." Ignacio Muñoz said: "He hasn't complained about anything to me." ... even though Nadal practised - indoors - today with the Argentine David Nalbandian showing obvious evidence of his 'encounter' with a plate in a Japanese restaurant specializing in 'teppanyaki'. He has two fingers bandaged, though not as heavily as a few days ago. "I'm much better, I'm able to practise normally now. I went to a teppanyaki restaurant in Cincinnati and when they served me my food, I tried to draw the plate towards me and... it was very hot," he explained. "Obviously I would have liked to have played another match, but that wasn't possible." "I began practising much later (than planned), maybe that's good so as to get here with the mind fresher," added Nadal, who didn't put in very good performances in the two Masters 1000 leading up to the US Open last year, either, and got there like this, without having played too many matches and with his mind fresh, to play and win one of the best tournaments in his career. "Nobody likes losing a Wimbledon final, but I think I'm a pretty good loser, I'm able to forget about it and put things behind me," declared Nadal who this weekend is facing something unknown: hurricane 'Irene'. "The club's closed, everywhere in Manhattan is closing.. I'll stay in the hotel, maybe watch some films. We'll just need to see what happens. It's a new not very enjoyable experience. I've never experienced a hurricane before."